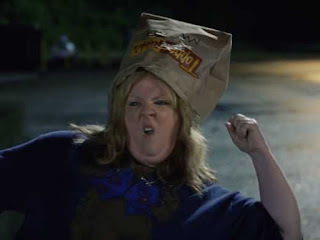 Melissa McCarthy is one of those people I want to like, no matter how many of her movies completely disappoint me. I believe she has the capacity to be funny--it's just that every director thus far has been determined to only pigeonhole her into this fat, gross, foul-mouthed slob that's funny for about 5 jokes. After that, you're still left with 90 minutes of Tammy. I expected more of the same from this movie. If you're wondering why I watched it at all, well, you can thank my sheep-like impulse to watch movies nominated for major awards. I even spent a full $6 on it, springing for the HD on Comcast On Demand. 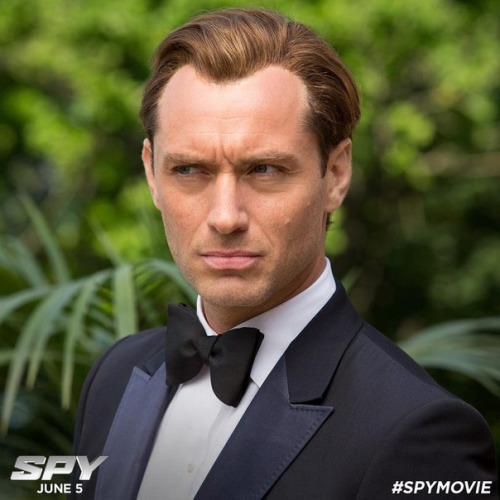 It's intended to be a sort of Bond spoof, but the action is legitimately good and the plot actually decent. Nothing over the top and ridiculous like Kingsmen. I can only hope this signals a more diverse future for Melissa McCarthy. Final word: Better than some actual Bond movies. P.S. The writing has also restored my faith in Paul Feig. He should spend more time writing and less time behind the director's chair. Please tell me this is sarcasm. I have not seen Ms. McCarthy’s other films. If as you say, this is one of the better entries I am thankful that I now know to give them a pass. It’s at least a small offset to the money and moments of my life I lost to watching this thing – which is almost a textbook entry in the “if it’s crude, it must be funny” style of comedy filmmaking. Bathroom humor abounds, but actual laughs? Ehh, not that much. Perhaps because I have sat through so many terrible, mindless, cheesy action films that this shone in comparison. I don't think it was an excellent movie, but in the action comedy genre, I found it be a lot better than most I've seen. But I agree, I do hate crude humor. But's hard to escape these days. A good point about it's being hard to escape. 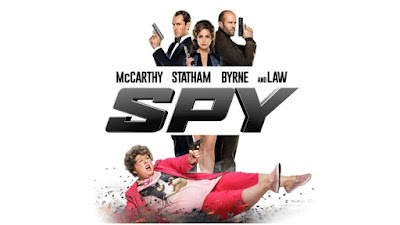 As spy spoof's go, I recommend Johnny English with Rowan Atkinson. It's got a a couple of crude moments but they're the exception. And unlike Spy, I think Johnny English is genuinely funny. I'll make sure to check it out. I'm not a big fan of Rowan Atkinson because really, I can only see him as Mr. Bean, but I have heard good things about Johnny English. And I suppose a spoof is a spoof, no matter who is starring in it.